Hizbullah accused Israel on Wednesday of waging an “international campaign” following Bulgarian investigation into Burgas attack. Hizbullah accused Israel on Wednesday of waging an “international campaign” against it after Bulgaria implicated two individuals with links to the Lebanese Shi’ite group in a bomb attack on a bus in the Bulgarian resort of Burgas last July that killed five Israeli tourists and a Bulgarian national. According to Al-Arabiya, Naim Kassem, the terror group’s second in command, slammed the “international campaign of intimidation waged by Israel against Hizbullah,” adding that it is “ever improving its equipment and training” in order to bring about the destruction of the Jewish state. “[T]hese charges will change nothing,” he said, referring to the Bulgarian investigation. Mladenov told Al Arabiya that the possibility of labeling Hizbullah as a terrorist group has been “on the table” for quite some time, but that the Bulgarian government didn’t want to make any official comments on the issue before receiving tangible evidence. Both Israel and the United Stated urged the European Union on Tuesday to label Hizbullah a “terrorist” organization, but Europe has until now refused to do so. 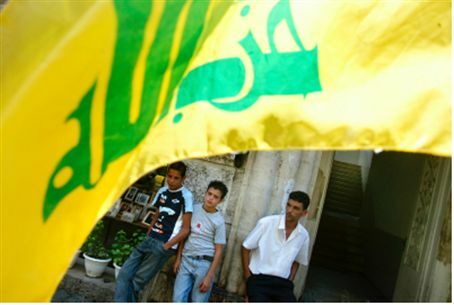 Congress is also increasing pressure, with some 250 House members and 76 senators signing on to a letter last September urging the European Union to “stand with the United States against Hizbullah,” The Hill reported.